We strive to minimize the costs and risks associated with accidents or unexpected events that jeopardize the well-being of our community. Our office provides support and guidance to faculty and staff to help prevent loss. Below you will find more information about student insurance, including athletic insurance, as well as the appropriate forms for guests, services providers, volunteers, and those who wish to rent campus facilities. We care about the safety of our students and while we take the promotion and education of safety seriously, accidents will happen. Rose-Hulman Institute of Technology requires that all students carry health insurance coverage. This policy is designed to help protect students and parents against large and unexpected medical claims. In order to satisfy this requirement, students are automatically enrolled in the Student Health Insurance Program provided by Rose-Hulman through Commercial Travelers Mutual Insurance Company. NOTE: Per the March 16th, 2012 federal ruling, the Rose-Hulman Student Health Insurance plan must be PPACA (Affordable Care Act) compliant. Rose-Hulman also provides Athletic Accident coverage for student intercollegiate athletes that sustain an injury during an approved Rose-Hulman practice or game, and Catastrophic Accident coverage for those students participating in a Rose-Hulman recognized intramural contact sport when the injury is directly related to the approved activity. Please see the appropriate sections within this area for additional information. What insurance is required for students? All registered students are required to show proof of health insurance. Beginning with the fall quarter of each academic year, the student insurance premium will be added to the invoice. Current domestic students can waive this premium by completing the insurance waiver form found in the Banner system. Parents should consult the parent’s pages for forms and answers to questions. This waiver must be completed at the beginning of each academic year. International students are required to keep the insurance coverage provided by Rose-Hulman, even if they have other insurance in place. Students participating in a co-op or study abroad program must also show proof of insurance. 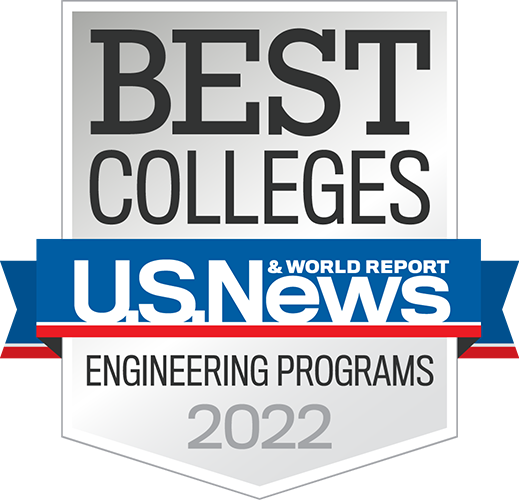 Once at the carrier’s site, scroll through the college list and select the appropriate Rose-Hulman link. Click on the submit button. You are now taken to the “Welcome” page. On the left hand side of the page are links to others areas within the site. Rose-Hulman Student Health Insurance is automatically charged to all students at the start of each school year. Insurance coverage can be added or deleted (waived) at the start of any quarter. Any waivers or additions submitted after the start of a quarter will be applied to the following quarter. Insurance charges cannot be pro-rated, backdated or removed from the student’s account after the start of the quarter. Insurance cards along with an insurance packet are sent to students by campus mail in late September or early October each year. As long as the student has been billed for student insurance coverage in spring quarter, they will have coverage in place through the summer months. Policy effective dates will vary each school year so please review the student insurance brochure for policy dates. What if I have my own health insurance? Domestic students who have other health or accident/sickness insurance and do not need the Rose-Hulman coverage, may waive the coverage. An electronic waiver must be completed by the student or parent each school year. Insurance coverage can be added or deleted (waived) at the start of any quarter. International students, regardless of registration status, are not permitted to waive the Rose-Hulman student insurance fee. If you wish to contact the policy administrator of the student health insurance plan directly, go to our student insurance plans center and select “Rose-Hulman Health” from the school list. Click on the submit button and then select “Agent of Record” from the left-hand side of the “Welcome” screen. If you would like to locate a Network provider offered through the student health insurance carrier, please go to our student insurance plans center and select “Rose-Hulman Health” from the school list. Click on the submit button and then select the “Find a Provider” link on the left-hand side of the “Welcome” screen. You DO NOT have to use a network provider in order to have coverage under the student health insurance plan. A network provider just offers a reduced rate with less out of pocket expense to the student. Athletic injury insurance is available for students that participate in an intercollegiate sport. The athletic intercollegiate policy affords excess insurance coverage that will pay eligible expenses after any other collectible insurance has been exhausted. The bills incurred by the student athlete must first be submitted to the family’s insurance policy for reimbursement. All claims made through the intercollegiate policy must be filed by a Rose-Hulman athletic trainer, signed by both the student and the Trainer, and then submitted to the manager of Insurance and Risk Management. The intercollegiate policy has a $500.00 deductible per injury, which must be paid by the family, or the family’s insurance. The Rose-Hulman Student Accident and Illness policy will afford excess coverage up to the $500.00 deductible of the intercollegiate policy if the student retained that coverage. Any intercollegiate travel abroad must go through the Rose-Hulman International Travel Process for preapproval by the President. Such trips should also be coordinated with the manager of Insurance and Risk Management at least 90 days prior to the event so that adequate insurance coverage can be attained. Such trips are overseen by the Athletic Department or the coach of the sport coordinating the travel. Students traveling abroad for an intercollegiate trip/event will be required to purchase foreign medical insurance which will cover them for medical treatment when outside of the United States. This coverage is mandatory and is purchased through the Office of Global Programs at Rose-Hulman. Trip information and mandatory fees will be discussed with the student participants/travelers by the coach coordinating the trip/activity. In the event any trip should be cancelled, costs related to and/ or incurred due to the trip are theresponsibility of the traveler. Rose-Hulman will not reimburse any expenses. It is recommended that travelers consider the purchasing of travel insurance, which would cover such cancellation expenses and fees associated with, in most circumstances. $500-$90,000-Rose-Hulman has purchased an Intercollegiate Athletic Insurance Policy which is considered excess to any other coverage available to the student athlete. Bills incurred by the student athlete must be submitted to his/her family's primary insurance policy first. If there are any remaining balances after the primary insurance has paid, the remaining expenses may be submitted to Commercial Travelers/Special Risk Claims Benefit Administrators for payment consideration. To file claims please see the section titled Claims Procedures below. Please Note: Proof of injury must be reported to the claims administrator within 180 days from the date of injury. The policy will consider eligible expenses for up to 104 weeks from the date of injury. $90,000- Claims exceeding $90,000 are considered catastrophic and may be filed with the NCAA's Catastrophic Injury Insurance Program. Rose-Hulman Institute, through its membership in the NCAA, has extended medical benefits to their athletes in the unfortunate event of a catastrophic injury. It is important that prompt filing and notification be given to the Program administrator. This coverage summary explains the general purpose of the insurance described but in no way changes or affects the insurance afforded under any such policy as actually issued. All coverage will be subject to actual policy conditions, provisions and exclusions. Pay all or a portion of the medical expenses incurred. Deny the claim and send a letter of denial. It is possible the athlete is no longer covered under his/her parent plan or if covered under his/her parent plan, the provider of service is not in the HMO/PPO network. Copies of the original itemized bills from the provider of service. Copy of the Explanation of Benefits (EOB) from your primary insurance plan showing how much they paid and the remaining charges. If the information is submitted to the manager of Insurance and Risk Management, she will file the initial claim report as well as the additional items required for payment consideration with Commercial Travelers for you. f the Benefit Administrator needs any additional information, they will send the student/parent an Explanation of Benefits statement requesting the needed information. If I am a domestic student with insurance in place, what do I need to show as proof of insurance? You need to provide the carriers name, policy number or group ID and the primary insured’s name. Proof of Insurance is not verified and the waiver information entered is not retained by Rose-Hulman. What Identification number do I use when I waive the insurance? Enter the Student ID number to waive coverage and not a Parent ID number. The student ID number is nine digitsand begins with an “8”. The student identification number is also found on the Student Invoice. Can I waive insurance through Parent Web? Insurance cannot be waived through a Parent Web account. To waive insurance, please see our Student Insurance Waiver for Parents located in the Parents Association section of our website. The brochure did not answer my questions, who may I contact: If you have specific coverage questions? 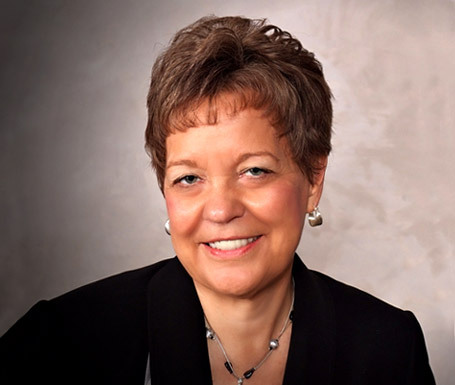 You may contact Wells Fargo directly at 800-228-6768 and speak with Lana Fletcher or Grant Hiner. I submitted my insurance waiver after the quarter deadline, can the waiver be applied to the prior quarter? No, insurance can only be waived at the start of any quarter and cannot be backdated. Any waivers received after the start of a quarter will apply to the remainingquarters only. I processed an insurance waiver last year, why am Idoing it again? Insurance waivers do not carry over from a prior school year; a new waiver is required each school year. 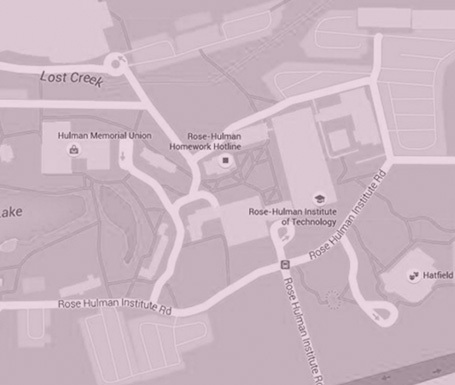 If I am a domestic student and waive the Rose-Hulman Insurance, can I visit the Student Health Center? Yes, you are not required to have the Rose-Hulman Student Insurance to use the Health Center. I am an international student and I purchased insurance before coming to Rose-Hulman, can I waivethe insurance Rose-Hulman provides? No, all international students registered for classes and/or attending Rose-Hulman through a special program or activity, are required to retain the insurance Rose-Hulman provides. I am traveling abroad; will the Rose-Hulman Student/Sickness insurance provide coverage outside of the United States? No, the Rose-Hulman insurance only provides coverage for treatment obtained while in the United States.